Premium protein powder that tastes great and supports all of your fitness goals. 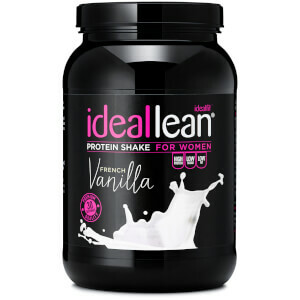 We offer the highest quality whey protein isolate and vegan-friendly protein supplements in a variety of delicious flavours, packed with over 21g of protein per serving. 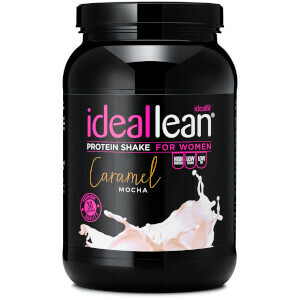 With 23g of whey protein isolate and only 103 calories per serving, IdealLean Whey Protein is low in carbohydrates, fat and calories but high in protein and can contribute to your health goals this year. Whether you are looking to tone up, lose weight or increase your fitness, our protein could help. Protein can both prevent metabolic slow down and also help to fuel fat burning. With minimal impact on your macros, the IdealLean protein for women range helps to promote weight loss while preventing muscle loss. Being vegan doesn’t have to limit your goals. Build lean muscle, lose weight and tone up with our vegan-friendly protein range. Our blend of pea, hemp and rice proteins ensures you are getting quality plant-based protein in every scoop. Kinder to the planet, easier to digest and at only 115 calories per serving, IdealLean vegan-friendly protein supplements are the perfect choice to support your fitness regime. 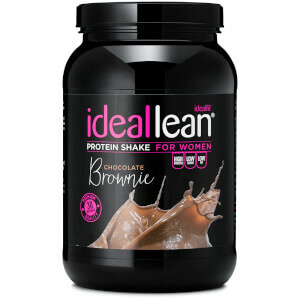 Our specially formulated protein, IdealLean, is designed specifically for women, by women. Therefore, we know the importance of beautiful skin and healthy teeth, bones and muscles. Our unique vitamin blend ensures you are getting the enough Vitamin D and Calcium for those added beauty benefits. In addition, we’ve even added in Pantothenic Acid, known contribute to mental performance, maximising your focus throughout the day. Enjoy your favourite afternoon tea treat guilt free! Check out our high protein, low sugar version of your favourite Italian treat.